Garden 2012: So Many Possibilities! Grill It. Grill It Good. A Scone, a Scone, My Kingdom for a Scone! 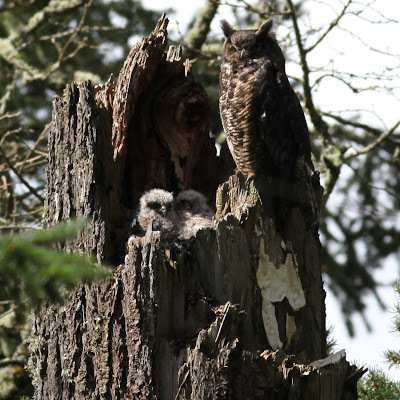 I just got a note from contributor Anthony Boutard of Ayers Creek Farm that the farm now has two great horned owlets added to its population. 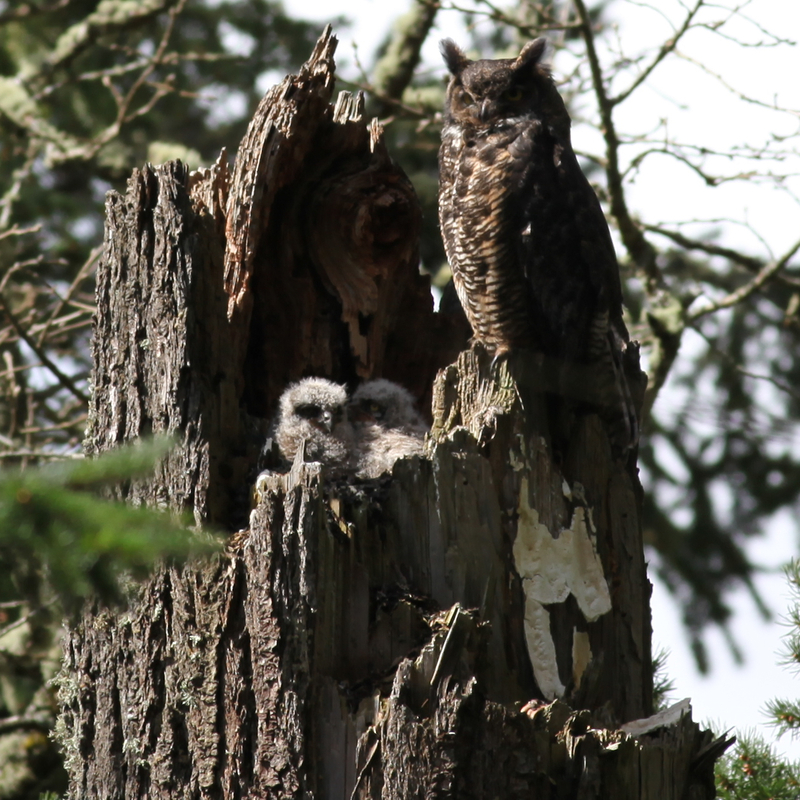 Anthony writes: "I have been watching the owls carefully, and today the mother finally tired of sitting on her nestlings. A brief moment of sunshine allowed me to shoot this picture. They are about 24 days out of the egg, give or take a day or two." Hope this makes your day the way it did mine! Photos by Anthony Boutard. Click on the top photo to see it full size. Track the progress of this owl family with Who's Minding the Frogs and Leaving the Nest. Ayer's creek farm is located nicely between Three AVA's of Oregon's Wine Country. 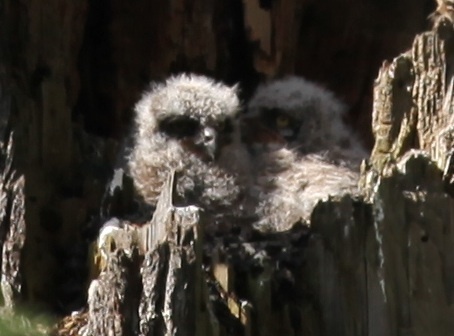 I'm thinking a little wine tour that would include a possible glimpse of a baby great horned owl one fantastic adventure. The wheels are turning! Love the photo. It is exciting to see these creatures, especially for us city folk. Please be aware, though, that Ayers Creek Farm is only open during their annual farm tour, which is coming up at the end of June.